When it comes to product reviews, we don’t mess around. All of the items we review are put through the ringer of everyday use. You can trust that our reviews are non-biased and completely honest. Full-disclosure, we don’t publish negative reviews. If a product doesn’t live up to our standards, we won’t promote it. Everyone has their opinion, this is ours – let’s get started. 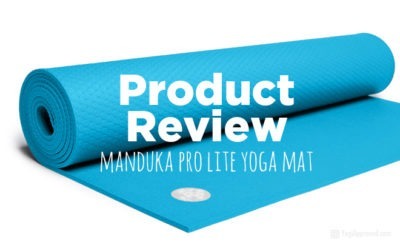 In this product review video, we check out the large yoga and exercise mats from Gorilla Mats. Gorilla Mats makes large eco-friendly exercise mats and yoga mats in a variety of sizes for your home yoga practice or workout routine. With mats up to ten feet long and six feet wide, Gorilla Mats are made to create a home workout or yoga studio space as soon as you roll them out. The large yoga mats are offered in three sizes (6×4, 7×5 and 9×6) and are all 8mm thick padding (great support for your joints). 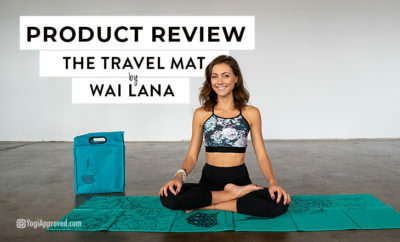 The video review features the 7×5 yoga mat. These mats are big enough for you to practice yoga solo or with a friend. They are non-slip on both sides so your mat stays in place and you have plenty of traction. Large yoga mats of this size are great for taking up space in a restorative practice with props, or doing AcroYoga. The large exercise mats are offered in four sizes (6×4, 7×4, 8×4 and 10×4) to create a workout surface anywhere you put them down. The video review features the 7×4 exercise mat. These exercise mats are made with high density materials and are durable enough for any workout, including weights and wearing shoes. The mats have great traction so you can do a cardio or dance workout without slipping. The mats come ready to roll, meaning they roll out flat and don’t require a break-in period. All Gorilla Mats are made with eco-friendly, high-density, quality materials and come with a lifetime warranty. Besides the obvious large size, the mat’s most noticeable feature is the extra thickness and cushion to support the joints (it looks like two mats put together). All mats come with a plush microfiber towel and straps to keep your mat rolled up when you’re not using it. The Gorilla Mats have consistently high reviews on their website and they offer free shipping on any order (a great bargain considering the size of these mats). The results are in. Gorilla Mats are 100% YogiApproved™. If you want to learn more about this brand, you can check out Gorilla Mats here. Have any questions or comments about this product review or brand? Reach out in the comments below, and be sure to subscribe to our YogiApproved YouTube channel so you can stay up to date on all of our latest videos! This article has been read 771 times. Share it and spread the love! 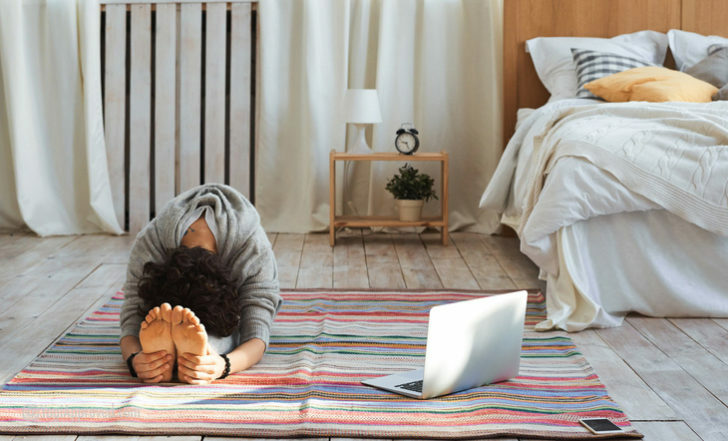 Whether you are pressed for time or short on cash, doing yoga at home helps you deepen your personal relationship with your practice, and can be a rewarding alternative to yoga studios.